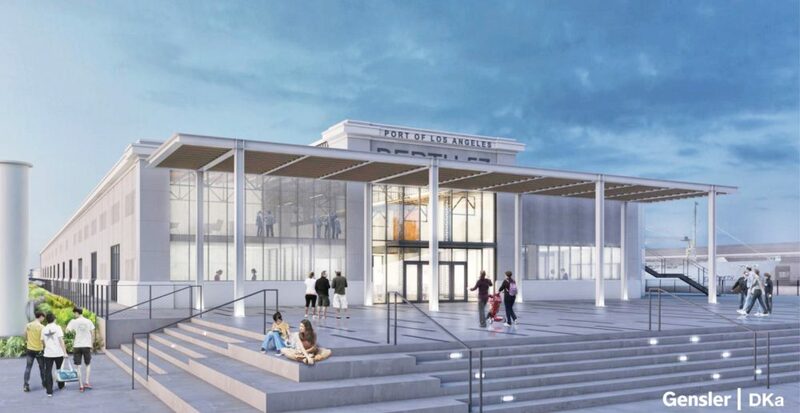 Gensler’s Los Angeles office has revealed plans for a $150 million expansion to the Port of Los Angeles by marine science and business innovation group AltaSea. 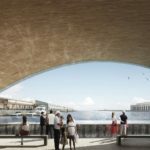 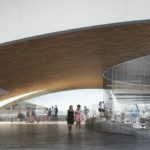 At a ceremony hosted at the firm’s Downtown L.A. headquarters, designers at Gensler detailed a 280,000 square foot facility encompassing a new waterfront promenade, aquaculture research center, and science hub set 35-acre stretch of historical docks and waterfront spaces. 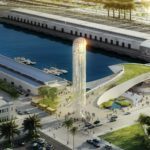 The project combines the adaptive reuse of existing dockside warehouses with the construction of a new visitor’s center and signal-house. 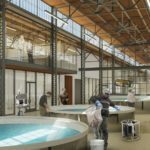 Three formerly industrial warehouse shells, exposed composite steel beams, and original overhead trusses will house dedicated research and business development facilities for aquaculture and underwater robotics endeavors. 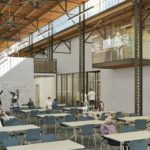 The project’s development will be divided into phases beginning with the redevelopment of Warehouses 58 through 60, which will add 180,000 square feet of combined research and business hubs to the site. 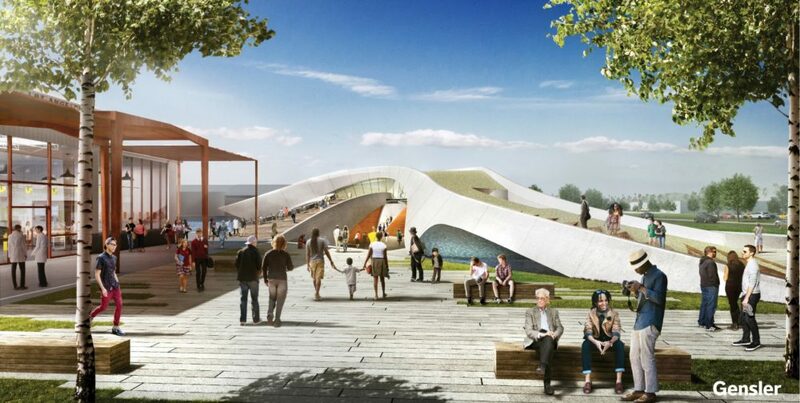 This phase also incorporates an education pavilion and wharf plaza into the mix. 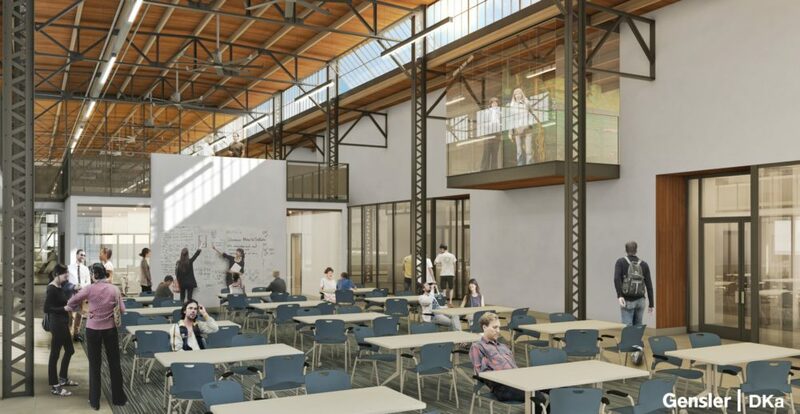 The second and third phases entail renovating Warehouse 57—which will contain 60,000 square feet of laboratory and classroom space—and the construction of the site’s two new structures. 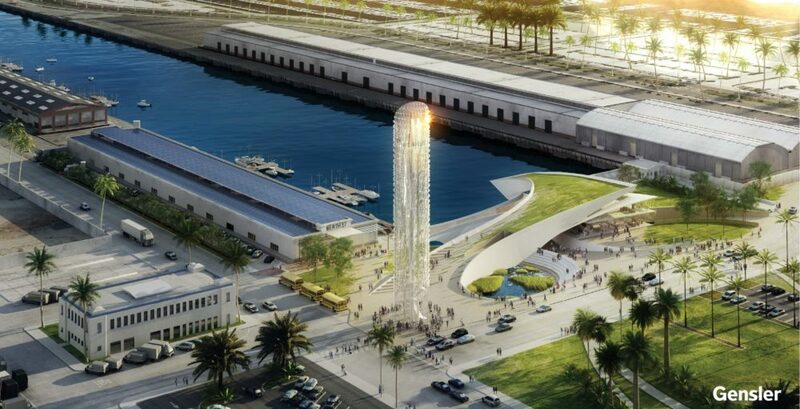 Those new constructions, Berth 56 and a tower dubbed “the Viewing Structure,” are located between the arms of the two docks housing the science warehouse spaces. 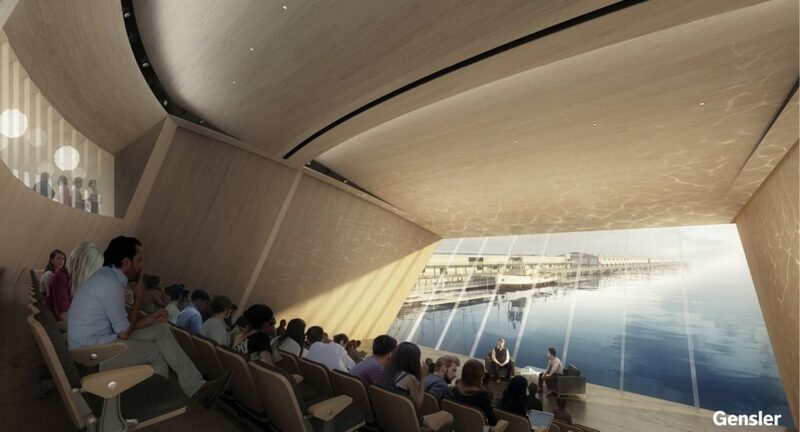 Berth 56 is a landscape-oriented community center with educational and exhibition spaces, as well as amenities like viewing platforms and a theater. 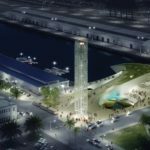 The 5-story viewing tower is located at the foot of a Berth 56’s roof terrace, which has been sculpted to blend with a street-level plaza. 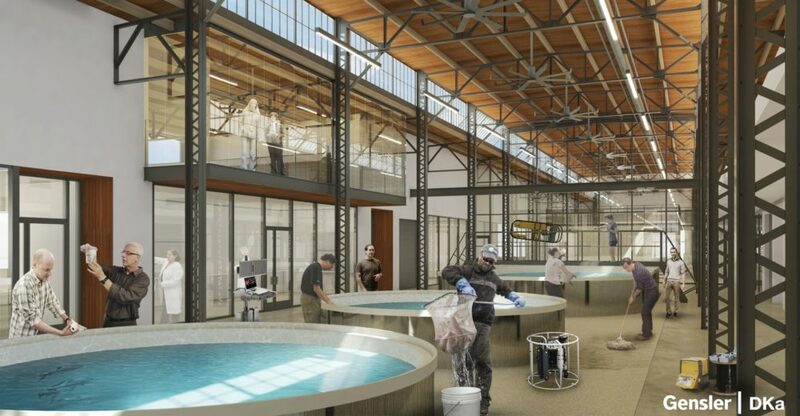 The overall scheme is an attempt to create a closed loop of scientific discovery, product innovation, and entrepreneurial commercialization at AltaSea’s campus. 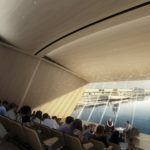 It is also being designed to be “net-positive” by generating more energy, through tidal, wind, and solar generation, than it consumes. 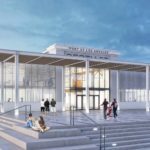 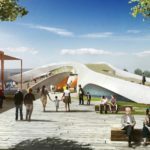 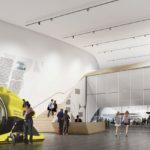 Gensler expects to begin construction on the first phase of the project in 2016 with the community center set to open in 2023.